I reached the Kochi Airport around 11.30 pm on 15.01.2017. Uncle and Aunt would be joining me the next day and I have to spend all night in the airport 😦 . But, it’s ok! Am quite excited about my onward journey from here 🙂 . 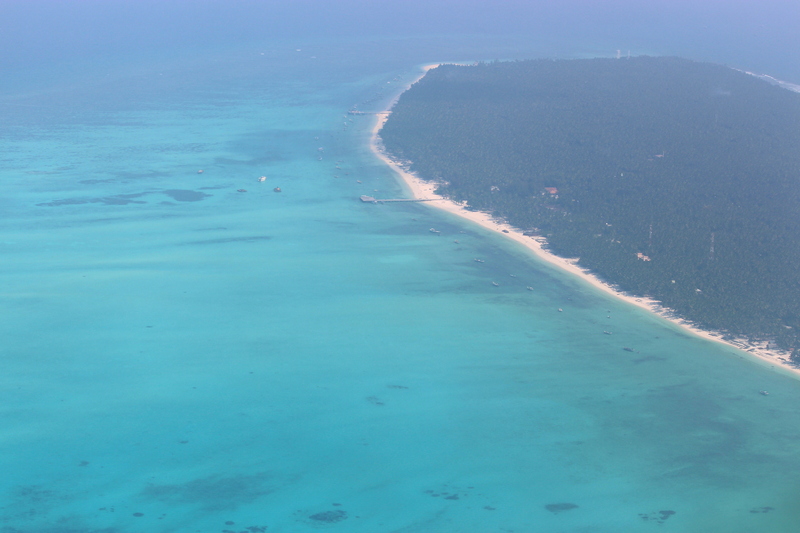 When we thought of going to Lakshadweep, Aunt asked me whether we can go on a ship, but I denied! Firstly, ship schedules are tight, reservations needs to be done early; secondly, the journey would consume more time, which I cannot afford at any cost 😉 . So, it was a flight obviously! But, let me unearth the truth behind me choosing a flight to a ship. It is all about the Agatti Airport! 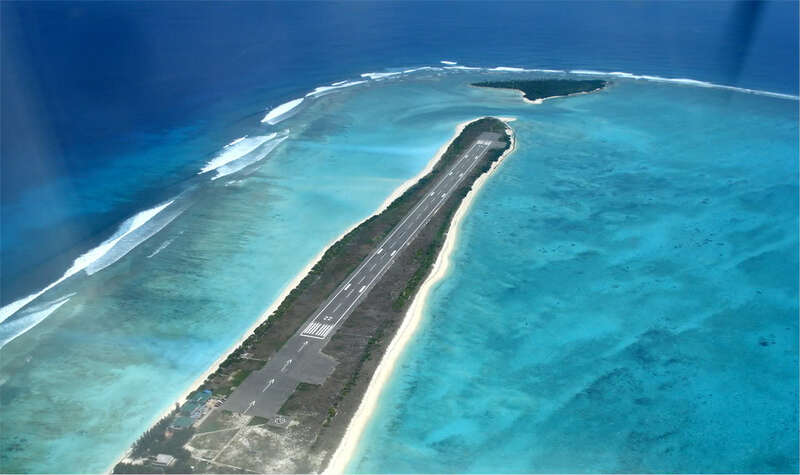 The first thing that came to my notice when I was surfing the internet about Lakshadweep is the Agatti Aerodrome. It is listed in various lists like the most beautiful airports in the world, world’s scariest airports etc. When I saw the images of this airport, the thing which attracted me the most is the airstrip. And, so.. I wanted to try a flight journey to this beautiful archipelago. Uncle and Aunt joined me at the Kochi airport around 8.30 hrs on 16.01.2017. When approached the check-in staff of Air India, they asked us our entry permits and we produced the same and they in turn gave us our tickets. Done with the first check! In the meanwhile, I remember Avinash saying me to carry some food stuff as there is a slight problem for food in the islands and hence Aunt and I went to buy some instant soup mixes, cup noodles and chips etc. In the meanwhile, the boarding was announced and we made our way to the boarding gate. It is a 42 seater ATR-42 plane and Air India runs a daily flight to Agatti from Kochi except on Sundays. As usual people started clicking selfies while waiting for their turn to board the flight. I made a special request to the check-in staff to allot window seats for all three of us so that we may get a chance to see the beauty hidden this archipelago and they did. We comforted ourselves in the seats that were allotted to us and were about to fly. I watched the vast expanse of Arabian Sea under us and the massive ships looking like tiny ants on a blue floor 🙂 . Soon, the air hostess came with some refreshments. Once done with the small spinach corn sandwich and some fruit salad, I retired for a small nap. Once out of the plane, the soft sea breeze caressed us and the scenic beauty of the airstrip which is almost like dividing the sea into two and the blue lagoon surrounding it offered a feast for the eyes. The airport is a small one which can accommodate around 50 passengers and there was Imran waiting for us! After exchanging pleasantries and the security check of our entry permits and all, we walked out where an auto-rickshaw was waiting for us. 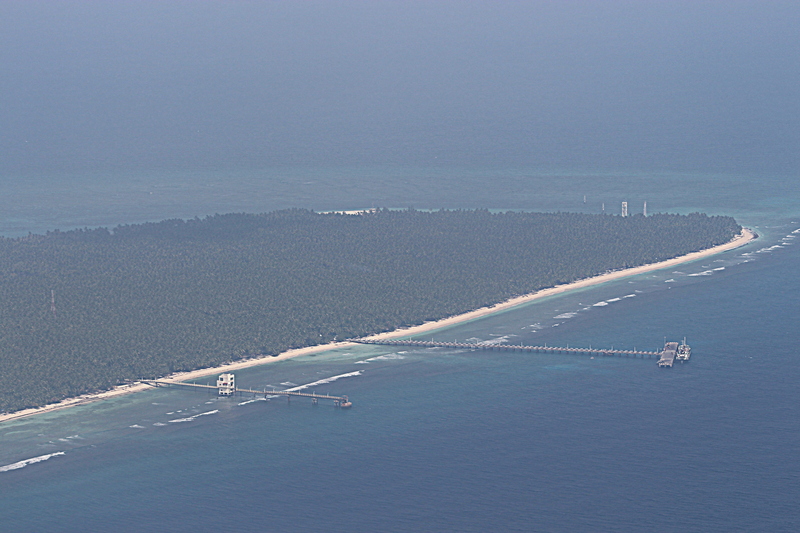 The area surrounding the airport is a vast stretch of silver sand beach with coconut groves and some bushes. And it was too hot! Imran took us to the local police station where in which we have to get our entry permits stamped from the Station House Officer.